Give a gift that’s philly as kruk! Kruk’s gift cards are a home-run for any occasion – nothings beats the taste of authentic breads, tender meats, and plenty of wiz (if that’s your style). 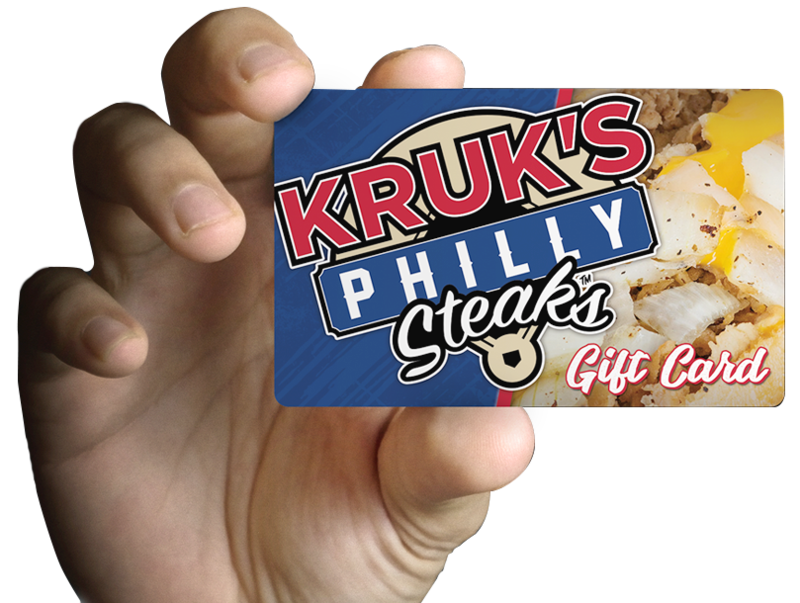 Redeemable at any participating Kruk’s Philly Steaks location, stop in-store to purchase one today! Kruk’s continues to spread the love of Philly and cheesesteaks throughout the west coast of Florida. Stop by one of our new locations or order online—the wiz is waiting!